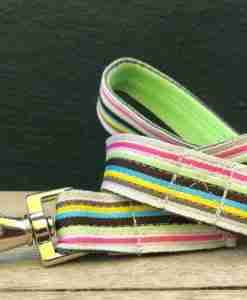 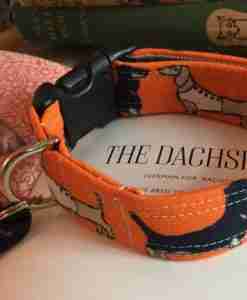 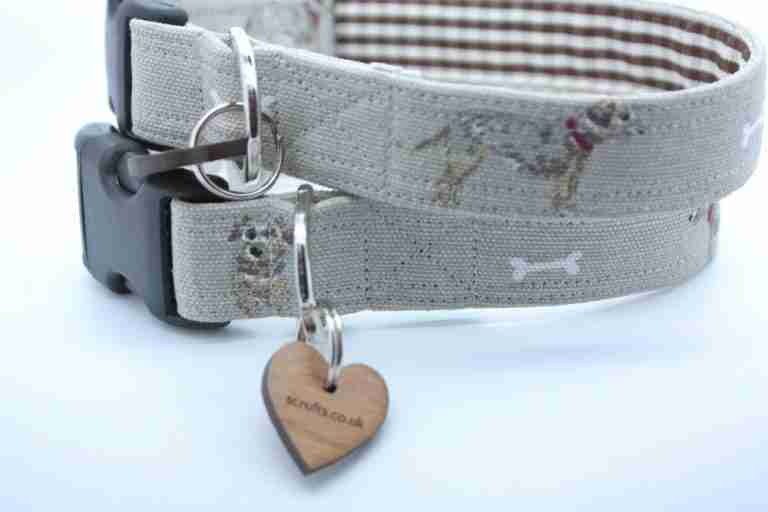 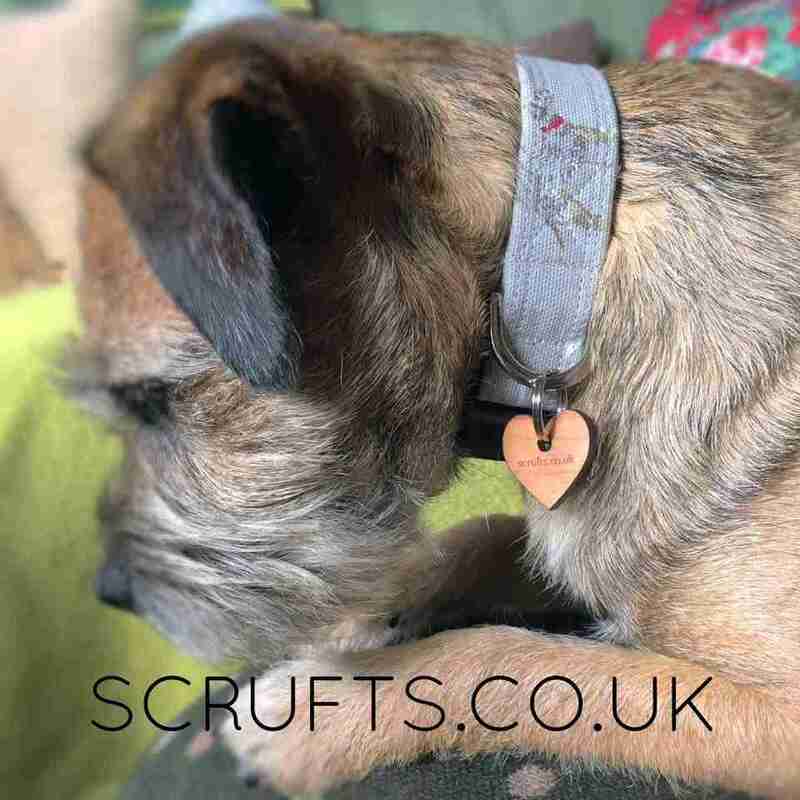 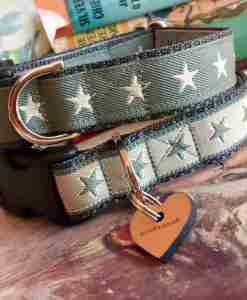 Such a sweetly subtle Border Terrier print makes this lovely Border Terrier Dog Collar, just the thing for your little terrorist! A lovely dove grey linen has mini Borders scampering around and it’s lined with a lovely brown and cream gingham check. 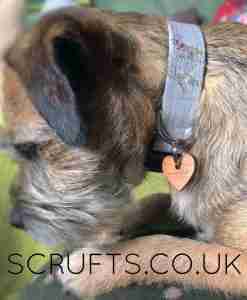 One of my exclusive Scrufts’ heart shaped tags is the final flourish.